Even as the premier anti-terrorism agency in India has investigated around six cases involving activists and former activists of PFI, in no other case could it rope in an approver during the probe. 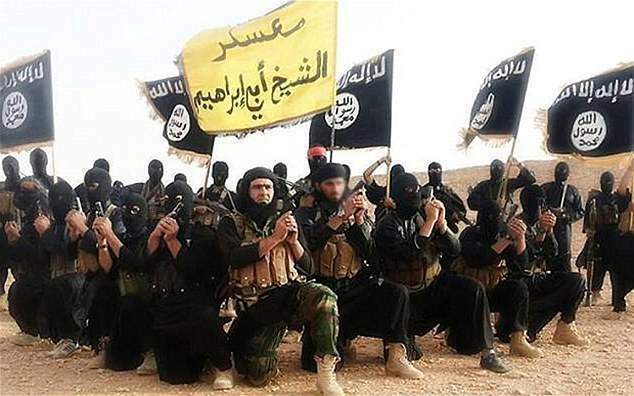 A file photo of the ISIS militants. KOCHI: The National Investigation Agency (NIA) probing the Valapattanam Islamic State (IS) case has achieved a rare feat, as it is for the first time persons having suspected ties with the Popular Front of India (PFI) have turned approvers in a case probed by the agency in Kerala.Even as the premier anti-terrorism agency in India has investigated around six cases involving activists and former activists of PFI, in no other case could it rope in an approver during the probe.Registered in 2017, the Valapattanam case pertains to the attempt made by several youths from various parts of Kannur to join the IS in Syria. While some of them successfully joined the IS in Syria, several others were intercepted by the Turkish authorities and deported back to India. According to the NIA, some of the accused persons in the case have links with the PFI. This is the first time in Kerala that people having links with PFI have turned approvers. As far as the investigation in the case is concerned, their statements are vital. The PFI is a well-structured organisation and it was nearly impossible that their cadre agrees to cooperate with the investigation agency. The organisation provides all assistance to the accused persons to prevent them from turning against it, an officer said.According to the NIA, Kannur natives Rashid M V and Manouf Rehman, who had turned approvers in the Valapattanam case, were PFI activists and had attempted to move to Syria to fight for the IS. The statements of the two accused were recorded by the magistrate. They were granted bail by the NIA Court and are free now. We have filed a chargesheet against four others in the case, the officer said.More than 50 people involved in various cases, including the Muvattupuzha palm chopping case, Narath armed training case, IS module busted from Kanakamala, IS Valappattanam case and the IS case related to the migration of several persons to Afghanistan, allegedly have direct and indirect links with the PFI. When 'Express' contacted the PFI spokesman, he promised to give the statement of its leaders after verifying the matter. We have to check whether those turned approvers in the case had any connection with our organisation. We will check the matter and issue a statement, he said. Even as FIRs were registered against persons associated with the PFI in several cases, the organisation had always refuted reports of the its involvement in terrorism cases and maintained that it has no ties with the people who joined the IS.The NIA on Tuesday filed a closure report exonerating two accused persons - Azharuddin alias Azhar and Abdul Jaleel K V - in the Narath armed training case. In 2016, the NIA Court had awarded imprisonment to 21 accused, who were members of PFI, in the case.